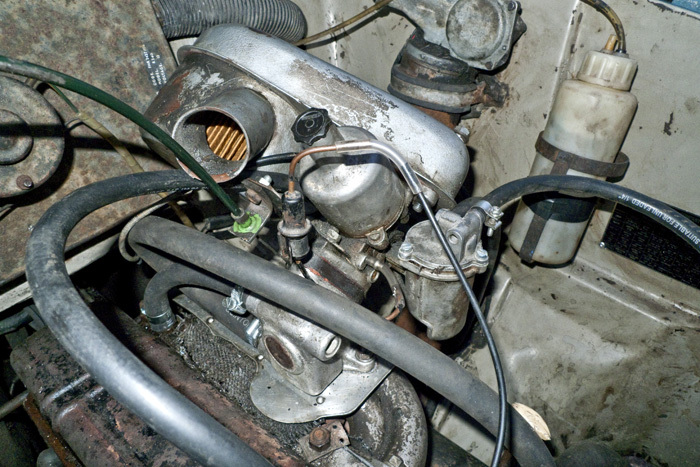 reliant1 wrote: The HT-E engine is easily recognizable by the addition of a yellow rocker cover. It would convince the French. Head and block also stamped with an E, only reliable way of identifying. I didn't even see this thread! Good work guys.. I broke a damaged 72 Rebel estate a few years back, most of it has gone now,but I still have the front and rear (door) badges and the rear indicator and light lenses. All this is in useable, if not very flash, condition and is yours for the postage if you want it. I think there is a speedo head somewhere as well. 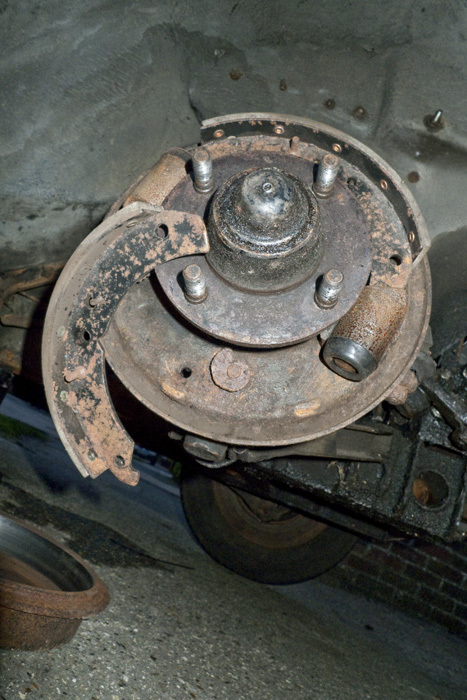 Do you have a gearbox rear mounting crossmember? I have a spare crossmember in the garage, one corner of an end plate is missing where one of the 4 mounting holes is but is useable or could be welded up. I think I've come up with a solution for mine now, going to weld plates over the existing mounting holes if worst comes to worst and drill new holes. Sorry , the crossmember went with the chassis a while ago. 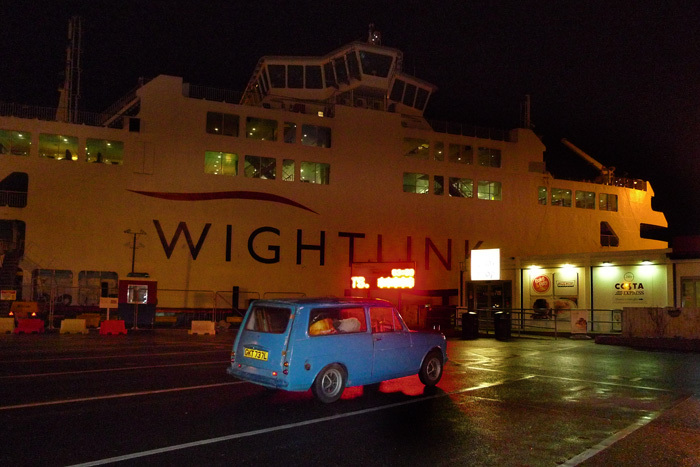 There has been a quite a bit of progress getting the Rebel van to a reliable state this week as it was needed to move a cargo of Teak and Foden engine Cylinder heads to the Isle of Wight! 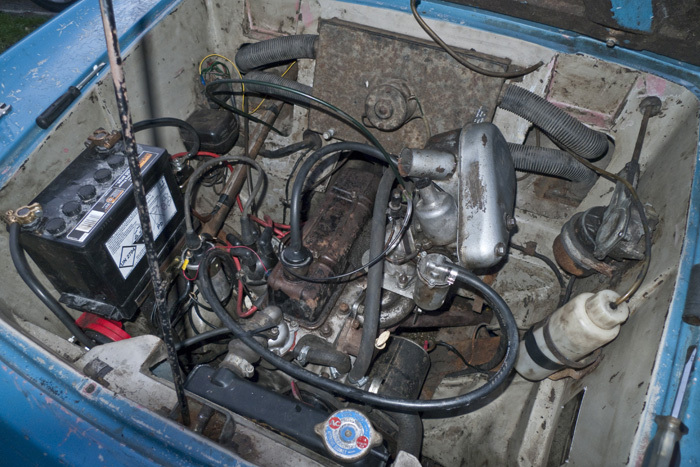 While it was out it was fitted with a new clutch pressure plate and the correct engine mounting feet for a Rebel. It was also given a small service, including points, condenser, plugs etc. An 850 Carb, inlet manifold and were bought. 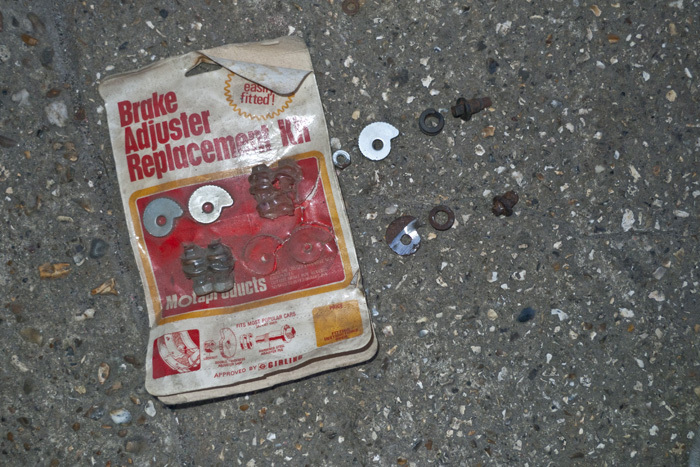 The following day the van rewarded our efforts by blowing a head gasket on the A23 . 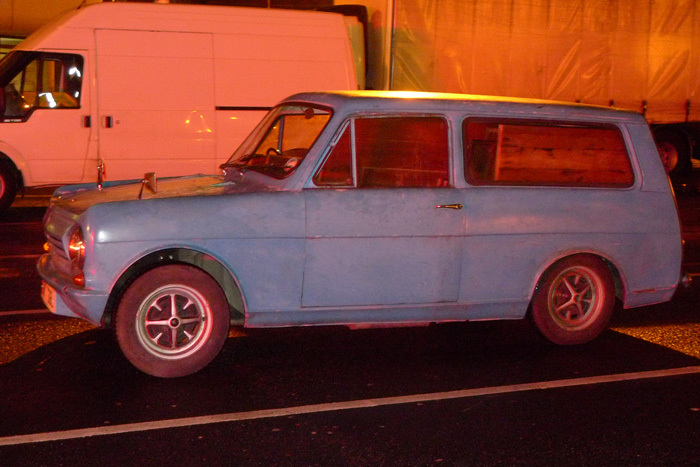 It was towed home by the AA who in an unusual show of efficiency sent a tow truck straight away! We spent the next day changing the engine for the rebuilt 850 we had on the bench and had been intended for the red rebel. Sorry I've no photos to showing this engine swap... it was a long day! 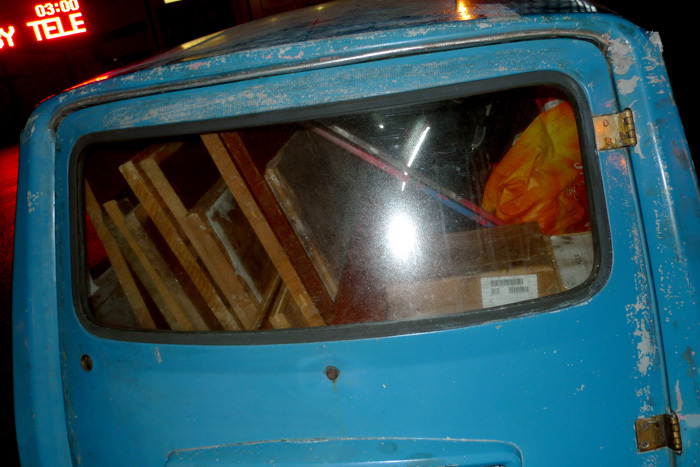 by that evening we'd tested the new engine and had the van ready to go to the IOW... you can fit a suprisingly large amount of stuff in a small van! 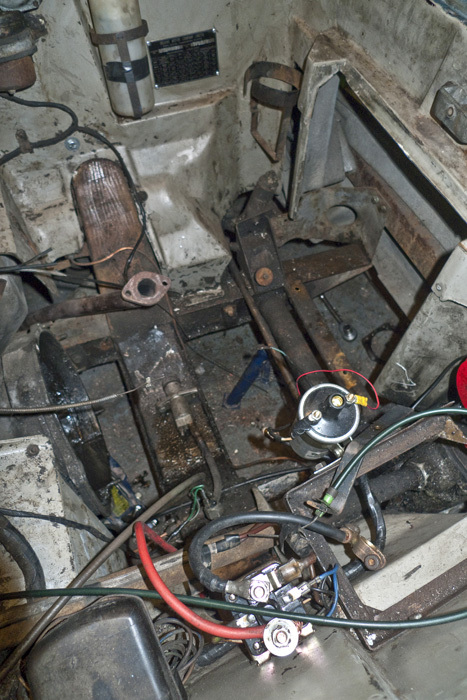 Teak on the left, Foden cylinder heads in the boxes on the right! I'll write up the creation of some side panels in a bit...! Like the thief proof back end! Does this mean if the blue one has the 850 bound for the red 'un, that the red 'un might be getting a fresh 750 after all? 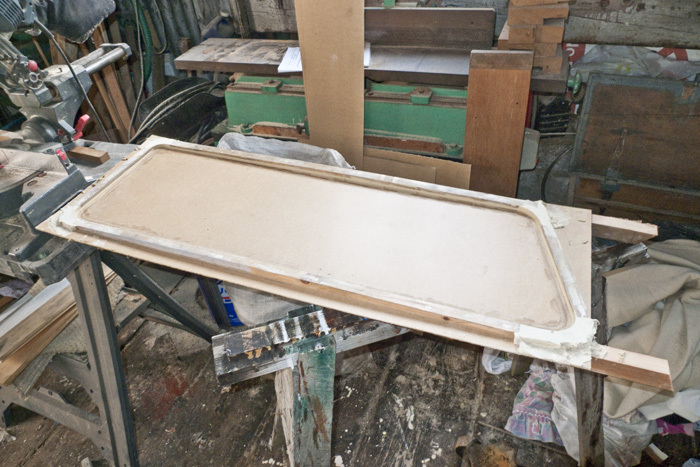 While on the Isle of wight we took advantage of the use of Dave's bosses' workshop to create some moulds for some new side panels. 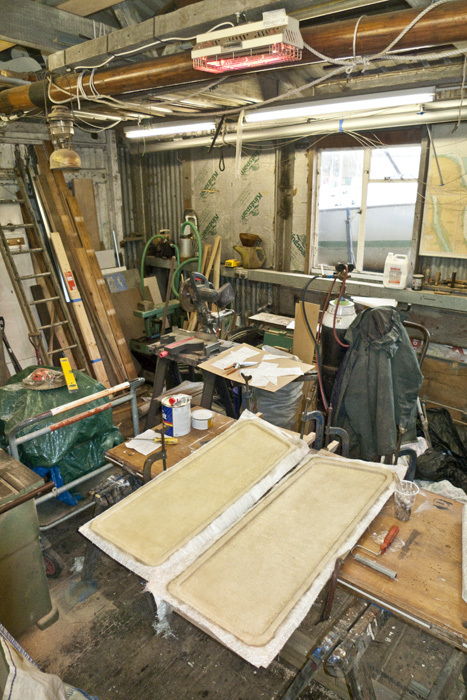 Creation of moulds is much easier with access to a decent workshop with space to work and the use of bench saws etc! I've not got many photos of the woodwork. 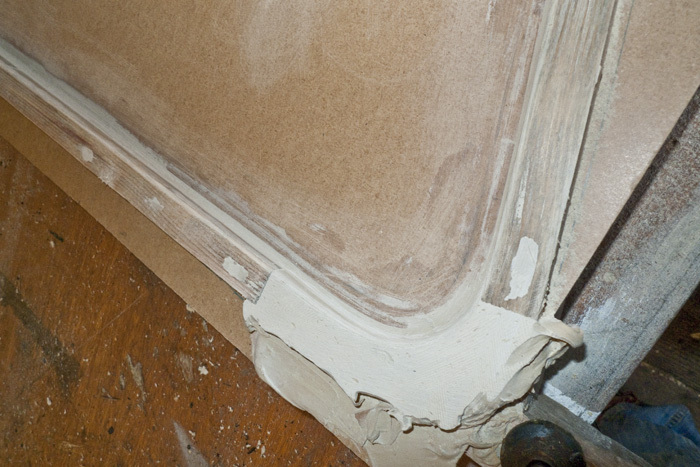 Essentially they were made from pine strips screwed to a sheet of hardboard. 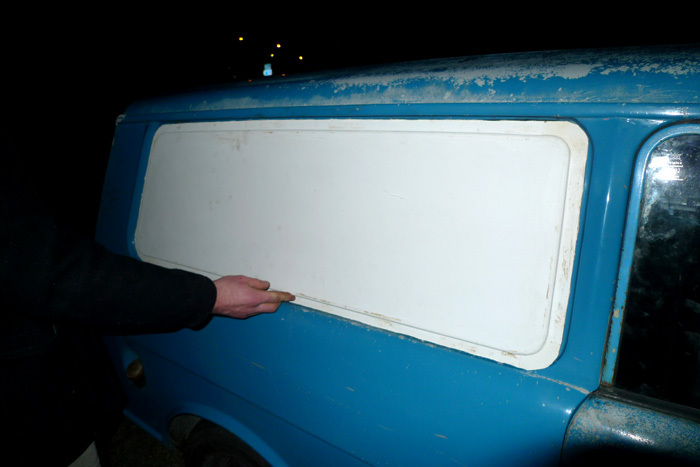 The wood underneath gives the hardboard a slight curve to matches the slight curve in the body of the van. 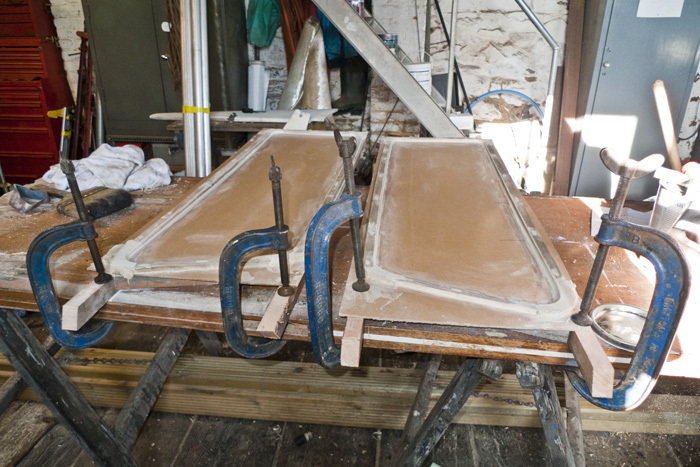 The corners are made of body filler as it was quicker than making them out of wood. 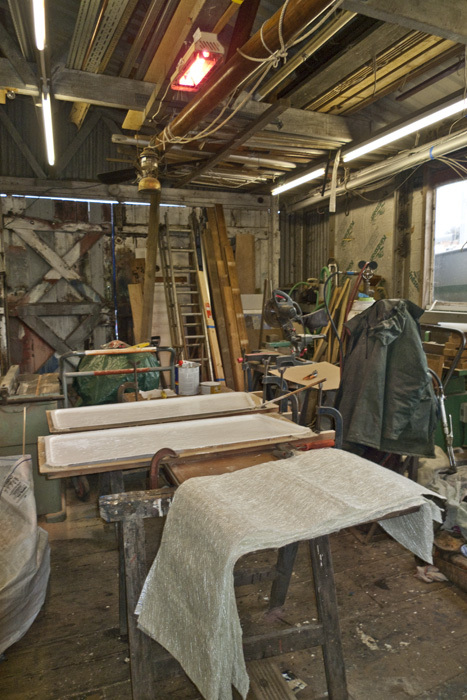 If you were making a mould to be reused many times it would pay to do these in wood too. 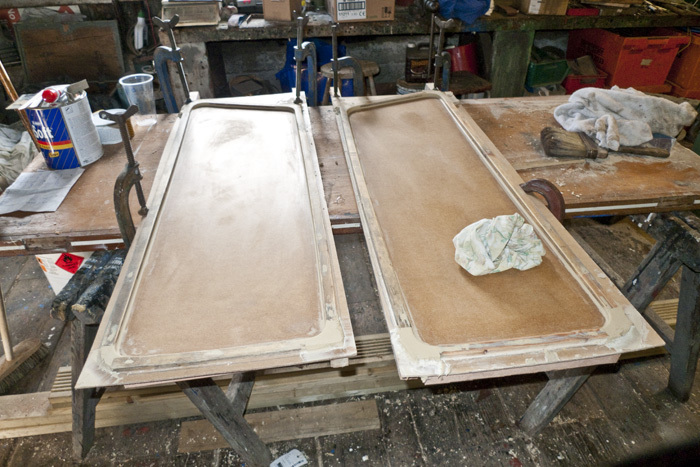 The moulds were fared in filler, creating a radius and also filling in screw holes and imperfections in the wood. 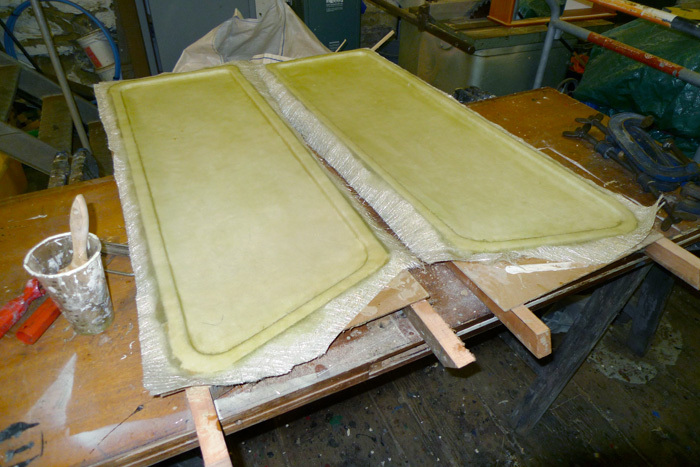 Filled sections were then sanded down and the moulds were clamped to the bench to prevent distortion. 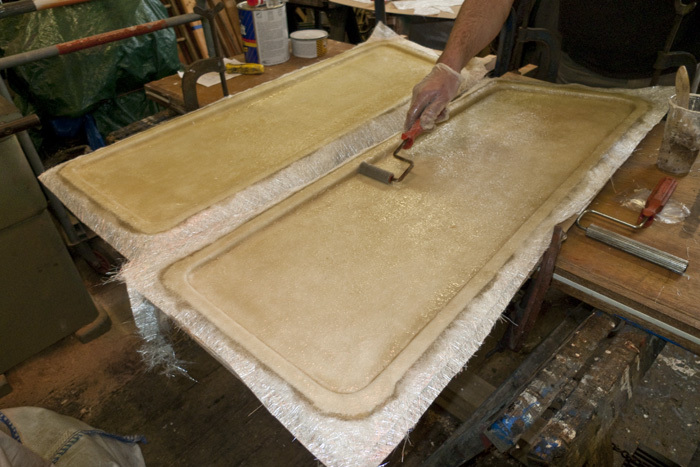 The moulds were then coated with 5 coats of release wax this is the minimum needed, ten coats is a good target to get the best results. 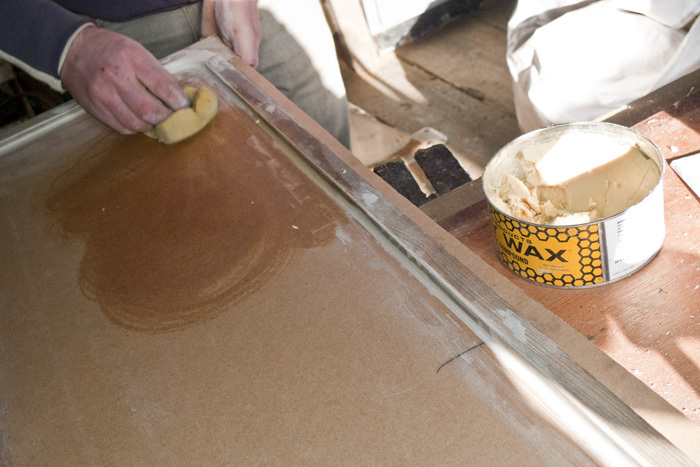 The wax was then buffed with a fresh cloth. 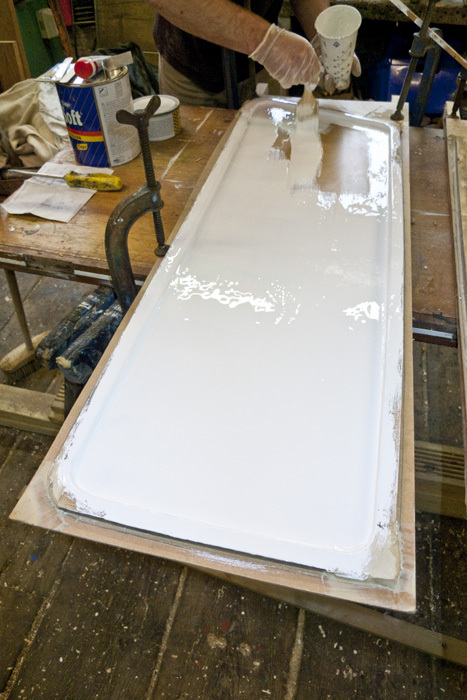 The moulds were ready for Gelcoat, given the cold temperature in the workshop we were using a 2% mix of hardener. 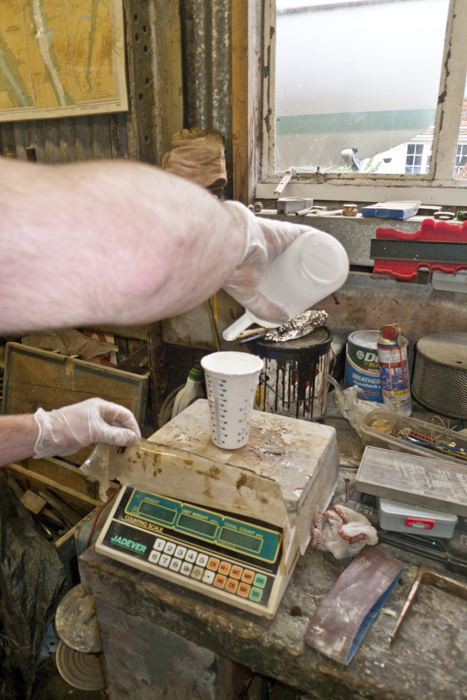 Resin was weighed to calculate hardener mixes accurately. 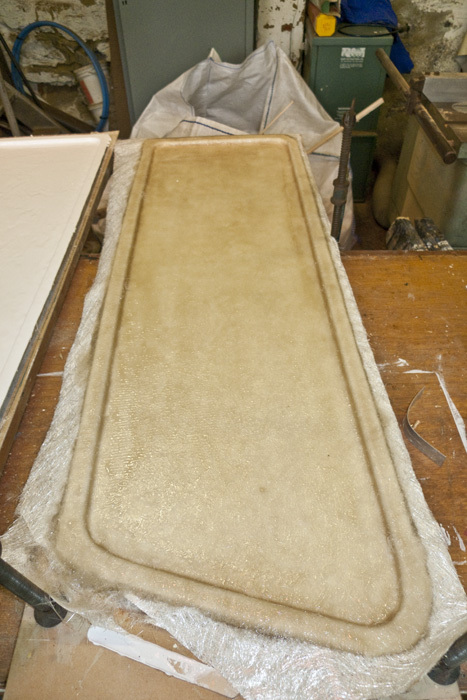 the lay up could then begin, each mould used 2 sheets of medium density csm. 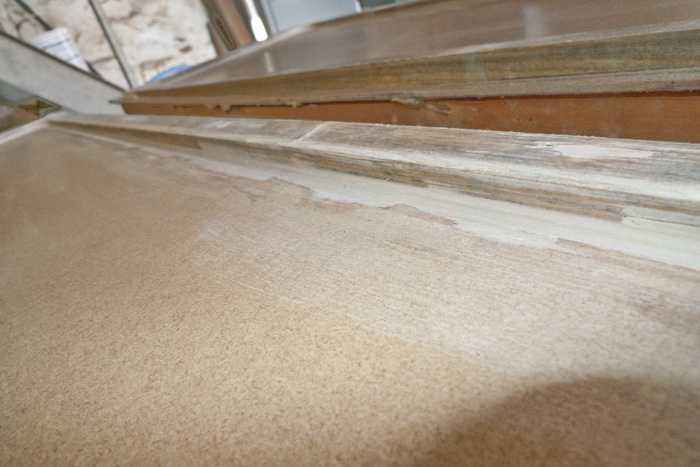 any additional thickness will be added when the panels are fitted. 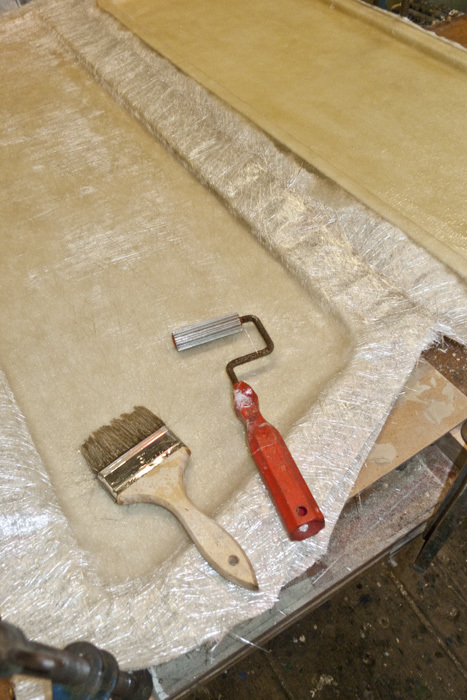 resin was applied by brush and laminating rollers were used to ensure there were no air pockets. 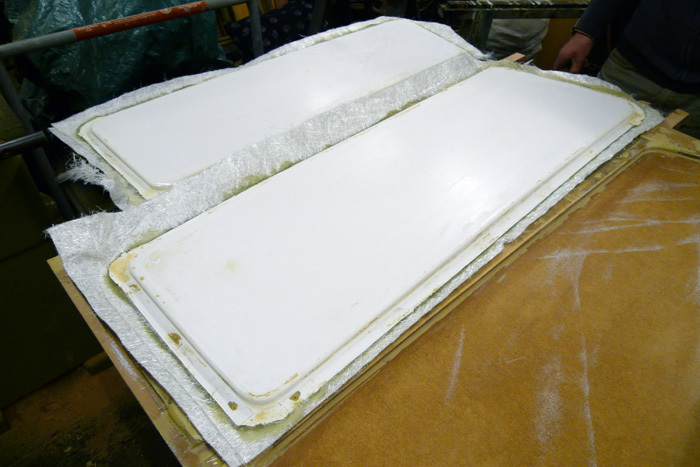 With 2 Layers applied to each mould they were left under the heat lamp until the resin had properly gone off. 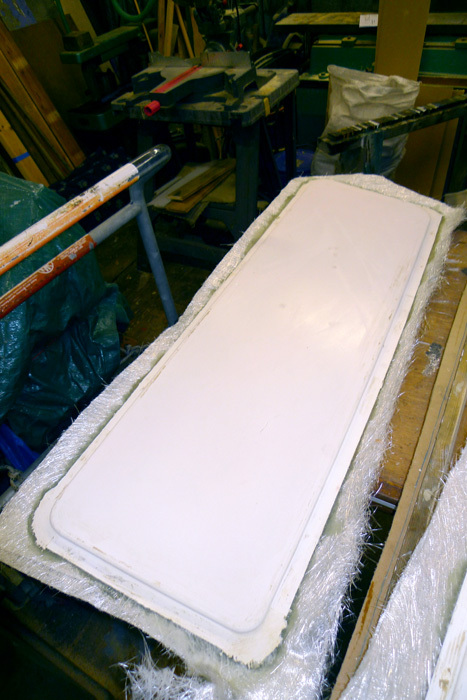 In a couple of places the mould filler is stuck to the gel but will sand off nicely. reliant-reviver wrote: Like the thief proof back end! We had to take the handle off as we had no way of locking it! The red Rebel is now likely to keep its current 600 engine (which is ok if a bit underpowered) until the tuned 750 is ready... Thats a project for after the painting and interior fit though so its not likely to be soon! A quick question from a div.